The AANP recognizes the importance of certain developments in our field by inviting speakers to present named lectures at the annual meeting, and by presenting awards to work that merits special recognition. Below is a list of the award recognitions and named lectures, organized in reverse chronology. A Sonic Hedgehog Glycine Residue Mutated in Human Holoprosencephaly is Required for Ligand Multimerization and Long-Range Signaling. Dandy-Walker Malformation: Correlation of Diagnosis on Prenatal Ultrasound and on Pathology Review at Autopsy. The Korey Lectureship was established by Dr. Robert D. Terry in honor of Dr. Saul R. Korey, the founder and first Chair of the Department of Neurology at Albert Einstein College of Medicine. Dr. Korey's vision of an interdisciplinary approach to the study of neurological diseases by basic and clinical scientists has inspired generations of colleagues and trainees. Dr. Terry, a close collaborator and colleague of Dr. Korey, was the first recipient of the prestigious Potamkin Prize for Pick's and Alzheimer's Disease in 1988, in recognition of his seminal observations of the pathological changes in Alzheimer disease. Dr. Terry generously contributed a portion of the prize funds to endow the Korey Lectureship, to be administered by the American Association of Neuropathologists, with the lecturer to be chosen annually by the President. Dr. Terry has summarized the qualities of the Korey Lecturer, as someone who has "been an active member of the Association...a working Neuropathologist...responsible for diagnostic work as well as teaching and research. The lecture should be aimed at the members of the Association, and the lecturer might well serve as a role model for younger members." The Korey Lecturer, then, is someone who has "done it all" and "done it well". The DeArmond Lectureship was established in recognition of Stephen J. DeArmond's excellent leadership and organization of the scientific program for the 2006 International Congress of Neuropathology. 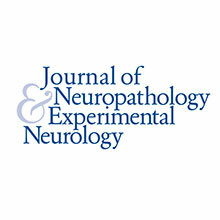 This successful meeting garnered significant support intended for the future advancement of the mission of the American Association of Neuropathologists. 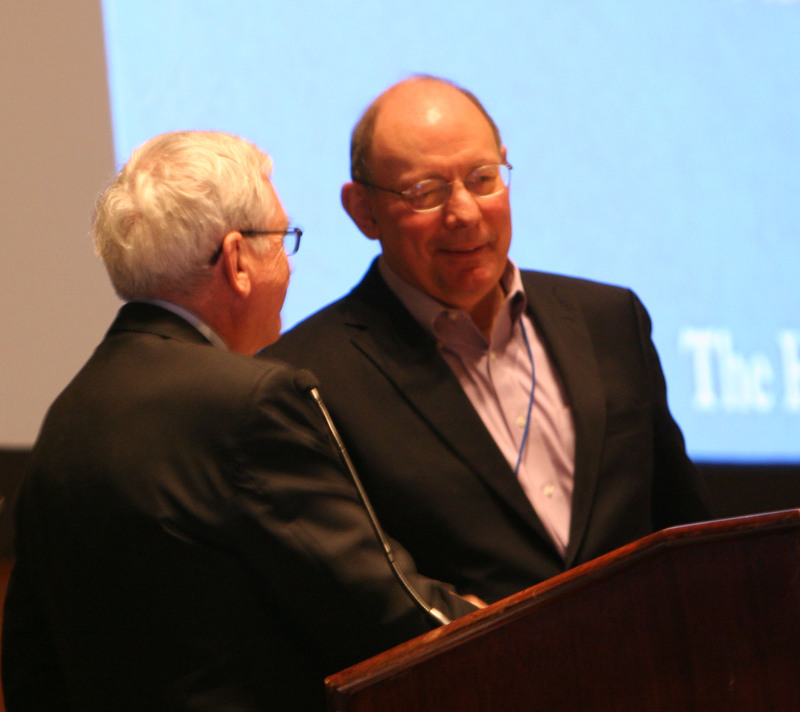 To continue these intended goals and recognize Dr. DeArmond's contributions, the American Association of Neuropathologists has honored him by establishing the DeArmond Lectureship. Dr. DeArmond is a leading authority on prion disease, where his work has been fundamental in demonstrating mechanisms of transmission and routes to therapeutics. The DeArmond Lecture focuses on honoring those making major advances in the field of neurodegeneration and aging with a particular emphasis on translating these findings to patient care. The lecture was named the Parisi Lectureship in honor of one of the American Association of Neuropathologists’ exceptional members, Dr. Joseph E. Parisi. He has published seminal neuropathological studies on a wide range of diseases affecting the nervous system, with particular focus on neurodegenerative diseases and multiple sclerosis. He has held virtually every office of the Society, including President, and has served on several AANP committees. In 2006, his dedication and generosity were recognized with the Award for Meritorious Contributions to Neuropathology. He is considered by many the heart and soul of the association and a man worth emulating. In 1970, Dr. Matthew T. Moore made a contribution to the AANP to establish the Moore Award, which is given annually to recognize the “Best Paper on Clinico-Pathological Correlation Presented at the Annual Meeting.” In 1987, Rechelle Fishman, a former patient of Dr. Moore, bequeathed $75,000 to the Moore Award Fund. Dr. Moore requested that this bequest be used to establish a “Rachelle Fishman-Matthew Moore Distinguished Lectureship” (later shortened to just the “Moore Lectureship”), which is “to be given by a distinguished lecturer, on a subject which represents the leading edge of advanced research in neuropathological subjects of contemporary interest. The lecture is to take place on the day of the Presidential Address.” In 1988, it was decided that this Lectureship would replace the “Distinguished Lectureship” that had been sponsored each year by the Association. The Moore Lecturer is selected annually by the President in conjunction with the Nominating Committee and the Chair of the Program Committee. How does Alzheimer Disease Know Neuroanatomy? The AANP was awarded an R13 Support for Conferences and Scientific Meetings grant (PI: Edward Lee, MD, PhD, Univ. Penn, Chair Education Committee) through the National Institute on Aging of the National Institutes of Health that supported the 94th Annual Meeting of the AANP in Louisville, KY. The purpose of the R13 grant through the NIA is to support the Alzheimer’s disease and related dementias (ADRD) and aging components of conferences and scientific meetings, to better disseminate latest developments related to pathologic heterogeneity in dementia and aging. Specific to the AANP, this grant aims to enhance the education of neuropathology trainees about ADRD and aging to attract the next-generation of ADRD neuropathologists. Winners of this award in 2018 include: Fadi Hanna Al-Shaikh, Nima Sharifai, Pengcheng Han, Thomas Pearce, Christopher Borck, Doreen Palsgrove, John DeWitt, Namita Sinha, Megan Parilla, Travis Danielsen, Andrew Gao, Edward Kelly Mrachek, Kwok-Ling Kam, Diana Thomas, Rati Chkheidze, Missia Kohler, Angela Viaene, Mercia Bezerra Gondim, Vanya Jaitly, and Anne Shepler. Funding for this conference was made possible, in part by 1R13AG059336-01 from National Institute on Aging. The views expressed in written conference materials or publications and by speakers and moderators do not necessarily reflect the official policies of the Department of Health and Human Services; nor does mention by trade names, commercial practices, or organizations imply endorsement by the U.S. Government.